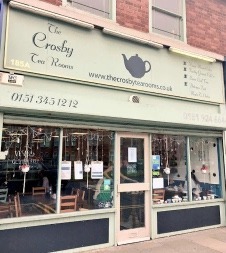 We are a modern tea house utilising the best qualities of the old English tea rooms. 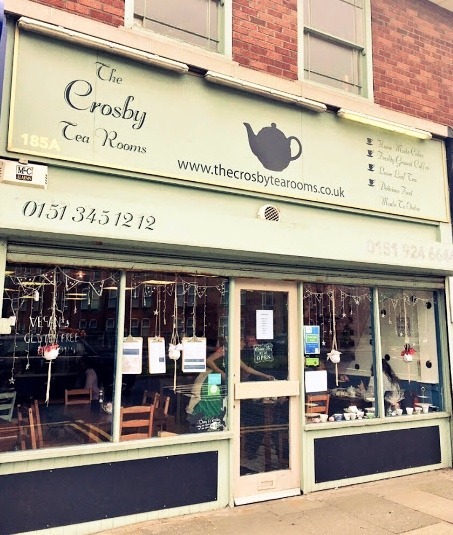 Located just a short train ride from the city center, close to Crosby beach, we celebrate providing a friendly and relaxed environment for you to unwind, stay out of the cold and enjoy some freshly prepared locally sourced food. All our tea is loose leaf and served in a teapot with strainer, our homemade cakes are very popular so you will need to be quick! Most cakes are gluten and dairy free! Afternoon tea is served 11am-3pm, if your planning on joining us please call to reserve your table. Our scones are extremely popular and we require some notice to ensure we have enough to go around. P.S We are dog friendly and have some treats on our menu in case you wish to spoil your best pal too. Breakfast served all day. Many options for vegeterians, vegans and gluten free! .